City of the Shroudâ„¢ combines deeply tactical gameplay with the on-your-toes action of a fighting game; your battles unfold in real-time, and your decisions influence an evolving, community-driven story campaign. Can you save Iskendrun from itself, or will you doom the city to annihilation? City of the Shroud uses a unique, real-time tactical battle system where you unleash special moves, build powerful combos, and outmaneuver your opponent in an exciting and deep format unlike anything you've seen before. The story is a new approach to video game narrative: a live, episodic campaign where every player's actions impact how the story unfolds for the entire community. Each episode is crafted based on the cumulative effect of players' actions by our resident novelist Moira Katson, author of The Light & Shadow Trilogy as well as other stories and novels. Moira has topped the Amazon Fantasy download charts 3 times since making her debut only a couple of years ago. As the story moves towards its conclusion, the stakes will grow higher and higher as you are forced to make choices that will shake Iskendrun to its very core - and permanently affect the direction of the story. Nothing is decided - your choices and actions will drive the story and, together, we will tell the tale of the City of the Shroud. 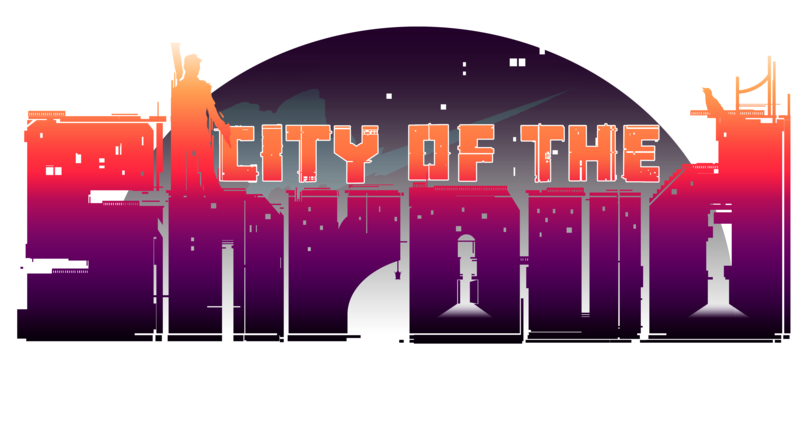 All of the core systems and gameplay in City of the Shroud are already online and functioning. We will be raising funds for creating art content via crowdfunding or other methods, at which points we'll be able to build what we need to complete the game. Once they are ready, all we have to do is set them up in the game, and weâ€™re all set to launch! Keaton White - Project Lead. Past titles include Street Fighter V and Dead Rising 3. Ryan Becker - Lead Designer and Programmer. Moira Katson - Writer. Author of The Light & Shadow and Novum trilogies. Samogon Studios - 2D art, concepts, and visual design. Jon Slabaugh - Backend Systems Engineer. Chris Nairn - Composer. Has written music for Sony, BBC, and a dozen+ indie titles. Grant Barber - IT and Infrastructure.